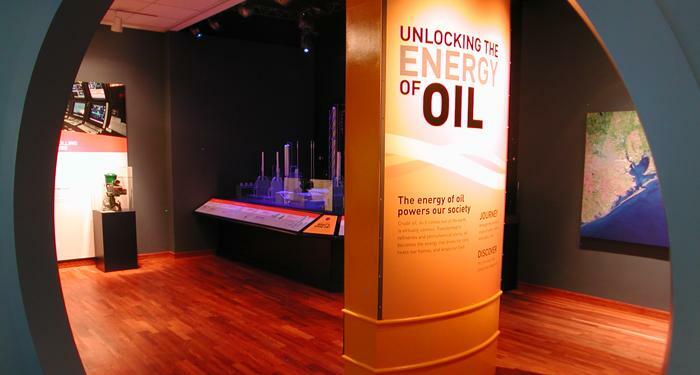 The Texas Energy Museum announces the opening of “Unlocking the Energy of Oil,” a permanent, million-dollar interactive exhibition that explains the chemistry of oil refining. The exhibit expands the Museum’s current permanent exhibitions (depicting petroleum history, geology, and production) through an engaging presentation on the chemistry of hydrocarbon transformation from crude oil to consumer products. 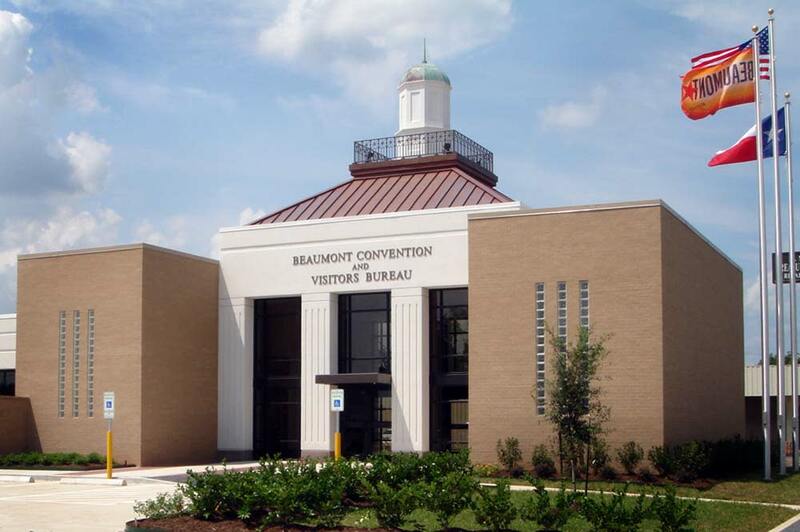 The 2,000 square foot exhibition interprets the science, chemistry, and technology of petroleum refining and petrochemical production with visitor-friendly, engaging, and exciting exhibition methods. Visitors discover and experience the inner workings of the creation of gasoline and the myriad of oil-related products. Visitors can experience a simulated crude oil tanker trip from the Gulf of Mexico to the ExxonMobil refinery in Beaumont via the Sabine-Neches waterway. Real-time video from the bridge of a tanker combine with artifacts from an actual vessel to recreate the feel of piloting a tanker. Visitors are introduced to the major components of a typical refinery through a theatrical –style light show superimposed over a highly-detailed scale model of a refinery. Through additional interactive audio-visual exhibits, visitors learn what happens as crude oil molecules are changed and transformed into products such as gasoline and plastics. Through a final cinematic presentation, visitors experience first-hand what happens inside the pipes and vessels of a refinery as they “shrink” to the size of drop of oil and ride through pipes, furnaces and valves on their journey to become gasoline. The exhibit is designed to enhance the general public’s understanding of an important economic process whose products improve the quality of everyday life. The exhibit also enhances student scientific literacy especially in the area of using science and technology to solve problems. School group programs are free and may be scheduled by calling the Museum. All programs meet Texas Essential Knowledge and Skills curriculum. Learn more about the Texas Energy Museum and plan your visit here.